Happy Passover! 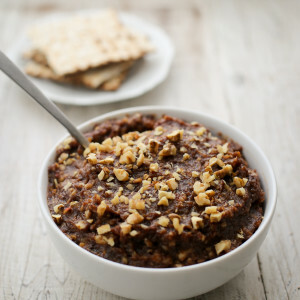 If you’ve landed here, chances are you’re looking for an authentic, Israeli-style charoset to grace your seder table. This recipe is a translation straight from my Hebrew teacher Orna, who brought a batch to share with our class last week. It was so good that I couldn’t wait to make my own for my family’s seder dinner this weekend. 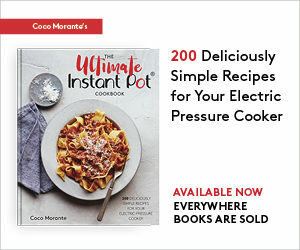 What really makes this recipe special is the date spread. 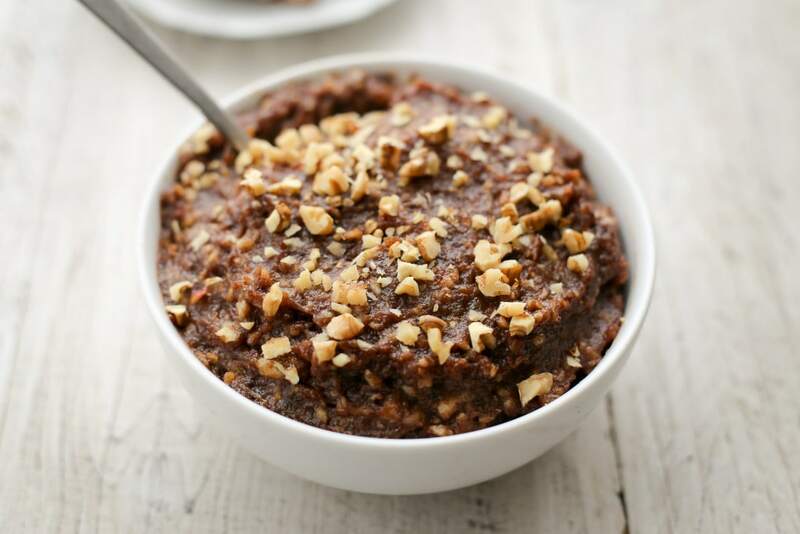 It’s a thick and pastey date puree, and it makes charoset sweet, spreadable, and Middle Eastern in flavor. You can track it down at a Middle Eastern market, or blitz a pound of (pitted!) dates in the food processor to make your own. If you go this route, you may want to add a splash of sweet wine or grape juice as you’re processing the dates. This way, they’ll be easier to mix into the rest of the ingredients. There’re also plenty of the usual suspects from the Ashkenazi-style charoset recipes I’m used to, including apples, walnuts, and cinnamon (or your sweet spices of choice). Bound together with the date spread and chopped raisins, the charoset is truly mortar-like, capable of binding your matzo together like so many bricks in ancient Egypt. 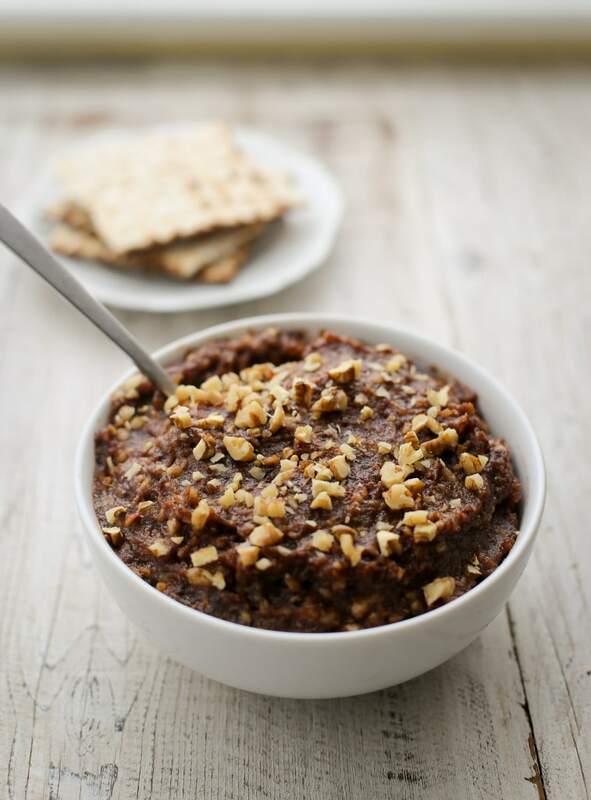 Thick, sweet, and spreadable, this Israeli-style charoset is perfect for Passover. In a food processor fitted with its chopping blade, process the walnuts in 1-second pulses until they are finely chopped. Do not process them too much, or they will start to exude oil and form a paste. Transfer the chopped walnuts to a medium mixing bowl. Set aside a tablespoon of the walnuts to garnish the charoset if desired. Put the raisins in the food processor. Process in 1-second pulses until they are finely chopped and beginning to clump together. Transfer to the bowl with the walnuts. Remove the chopping blade from the food processor and replace it with a grating/shredding disk. Grate the apple. Add it to the bowl with the walnuts and raisins. To the bowl, add the date spread, grape juice, cinnamon, and ginger. Stir until evenly mixed. Lior and King David brands make date spreads that are commonly sold at Middle Eastern markets. I found mine at Crossroads Specialty Foods in Palo Alto. If you cannot track it down, substitute one pound of pitted dates (any variety, the moister the better), and process them into a paste in the food processor after chopping the raisins. You can use a sweet wine (such as Manischewitz) instead of grape juice if desired. Additionally, feel free to add ground cloves, nutmeg, or your favorite sweet spices. 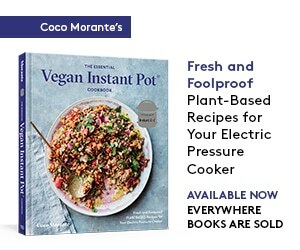 * 1 serving = 2 ounces by weight (about 1/4 cup). This haroset was amazing! I didn’t even miss my traditional Ashkenazi style haroset.